Just Cause 3, the sequel to the highly-successful Just Cause 2, adds another layer of fun and improves on the amazing in-game mechanics with the superb graphics. However, since this game, like so many others, is a port from the Xbox One, the developer failed to optimize the game for the Windows platform. Namely, Just Cause 3 for PC has a lot of issues, including lags, stutters, FPS drops, and the least and the worst, frequent crashes. We made sure to provide you with the in-depth list of all the common solutions we run into. Make sure to give them a try. Let’s start with the basics. The optimal solution for the majority of issues is a quite common one for badly optimized console-to-PC ports. When in trouble, add more RAM. The majority of problems in Just Cause 3 for PC appear due to memory leakage, where the game eats up all your physical memory which results in lags, stutters, and eventually crashes. Some suggest at least 16 GB of RAM, which is seemingly an overkill, based on the official system requirements. This game port for PC is quite poorly optimized. A lot of users with Nvidia GPUs have had a hard time enjoying the game. But the number of affected users substantially dropped after a few patches. That’s why we suggest updating the game and, hopefully, the problems will be sorted out. The first major patch (1.02) haven’t fixed a thing, but a few coming afterward have dealt with the game performance and reduced crashes. The game updates automatically through the Steam desktop client, so make sure to start the game from there. 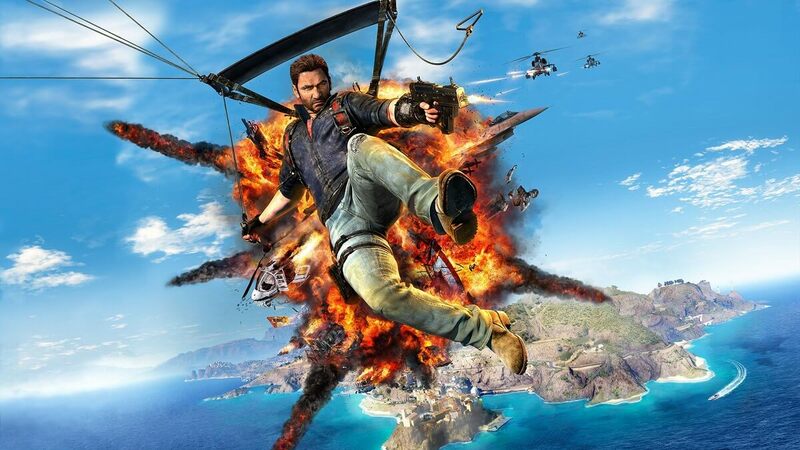 Once you’ve acquired the latest update, give Just Cause 3 another try. When the developer releases an unpolished game, we can either wait for them to fix it or take some troubleshooting steps on our own. The memory leak issue might be reduced (sadly, not fully dealt with) by disabling one system service which regulates preemptive data distribution. 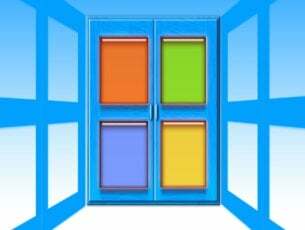 The Superfetch technology is there to predict your actions and speed up the loading of applications in the Windows shell. However, this technology works great with the standard HDD, and fast RAID arrays or SSDs doesn’t need it. In the Windows Search bar, type services, and open Services. 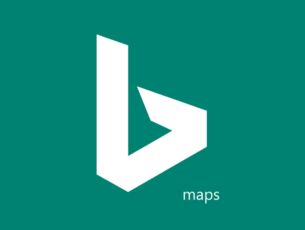 Find the Superfetch service in the Services list, right-click on it and open Properties. Under the General tab > Startup type, select Disabled. While we’re at disabling system features which might make the game performance worse, we must mention NDU. NDU or Network Diagnostic Usage tends to affect the Non-paged pool, which will lead to abnormal RAM usage. You’ll barely notice this on some undemanding applications, but since Just Cause 3 already takes a massive portion of RAM, we suggest disabling it. 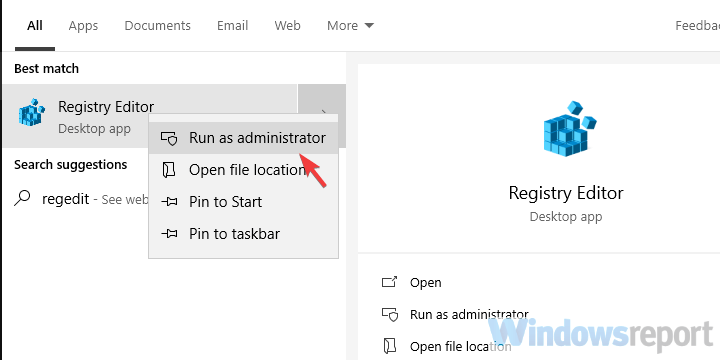 Now, in order to do so, you’ll need to make certain tweaks in the Registry Editor. We strongly advise to act cautiously and follow the instructions closely. Misuse of the Registry might lead to critical system issues. 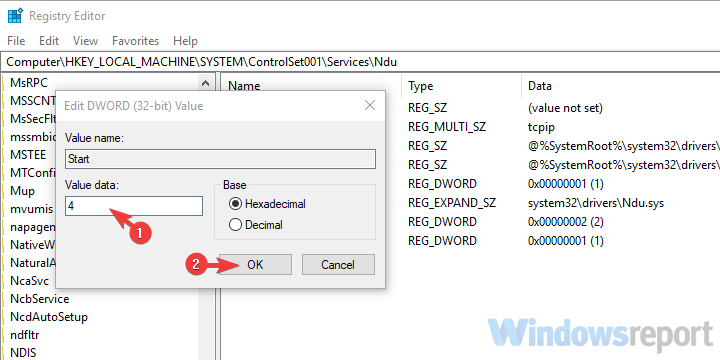 In the Windows Search bar, type Regedit and open the Registry Editor or regedit as admin. 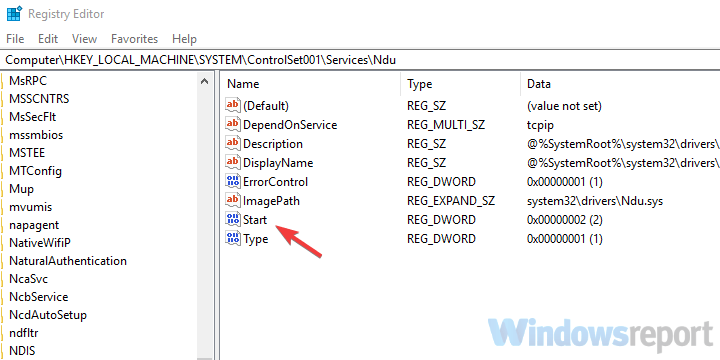 Navigate to the HKEY_LOCAL_MACHINESYSTEMControlSet001ServicesNdu. Just copy-paste the following line in front of the Computer in the Address bar. Right-click on the Start dword and choose Modify. Change its value to 4 instead of 2 and confirm changes. We already mentioned that the game works badly on numerous Nvidia graphics cards for some reason. Now, there’s only so much you can do when the game port is far from perfect. On the other hand, making sure that you have the latest GPU drivers and associated software installed might help the cause (pun not intended). The GPU driver provided by Windows Update doesn’t work as intended a lot of times. The best way to ensure that the GPU software is proper is to download and install drivers from the official support website. If you don’t want to manually search for drivers, you can always use a third-party tool such as TweakBit Driver Updater. By using this tool your update your graphics card and all other outdated drivers on your system automatically, so be sure to try it out. It will also keep your system safe from permanent damage by manually downloading and installing the wrong driver versions. You’ve probably figured out that workarounds we suggest tend to reduce the memory usage of others in order to feed the massive RAM needs of Just Cause 3. Besides the system features we enlisted, you can try disabling or limiting the background processes. So, when you start the game, make sure that nothing which comes hard on system resources works in the background. 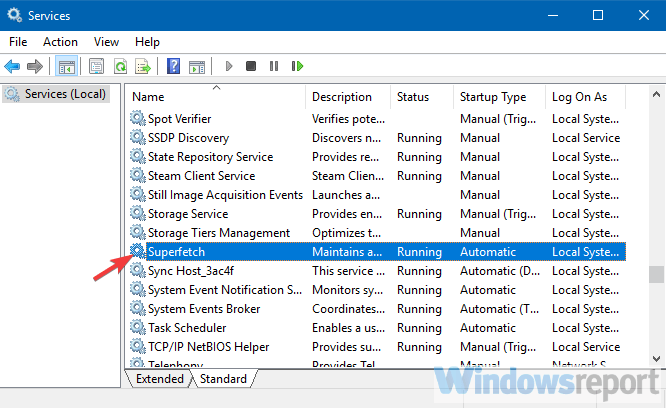 In the Windows Search bar, type msconfig and open System Configuration. 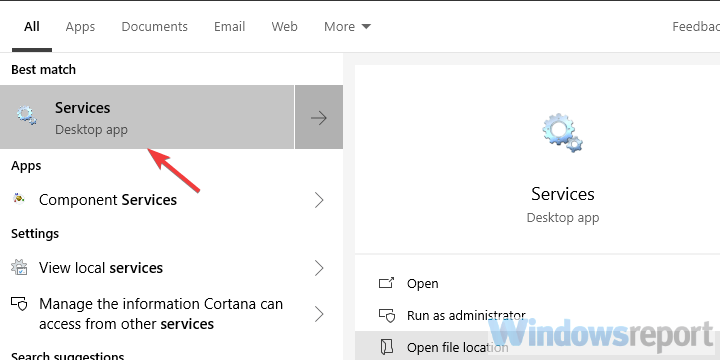 Under the Services tab, check the “Hide all Microsoft services” box. 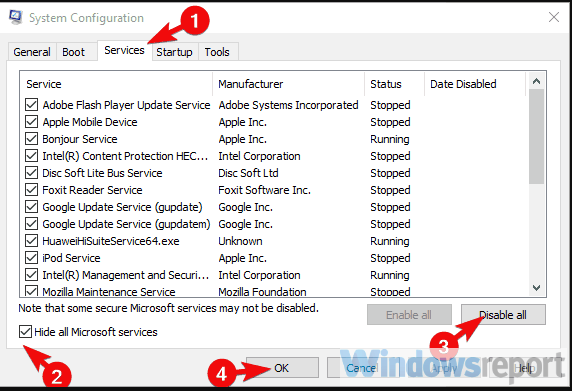 Click “Disable all” to disable all active third-party services. Now, select the Startup tab and go to Task Manager. Prevent all programs from starting with the system and confirm changes. Some users suggested that the controller was the one causing Just Cause 3 crashes on Windows 10. They managed to resolve this by simply starting the game while the controller was disconnected. Afterward, they plugged it in and configured button mapping in the game. And, believe it or not — no more crashes. Whether this will work for you or not, we can’t be sure. But it’s worth mentioning, so make sure to try it out. Even if you have a gaming rig fully capable of running Just Cause 3, the fact that the game is badly optimized for the Windows platform suggest disabling all “unnecessary” graphics extras. Including the Vsync and shadows. Also, lowering graphics settings a notch might save you as well, or at least to some extent, reduce game crashes. If you’re unable to do so in the in-game settings, you can navigate to the Configuration Settings file and change them there. We also suggest enabling the Screen Space Reflections, as this reduced the in-game stutters substantially. The Settings.json file is to be found in the DocumentsSquare EnixJust Cause 3Saves. You can open it with a text editor and change the necessary option’s (Screen Space Reflections) from 0 to 1. Even though this is a long shot, the game files corruption might be the reason for the issue at hand. Some users resolved it by running the built-in tool in the Steam client. This tool checks for the files integrity and replaces all corrupted or incomplete files. This method is much faster than the reinstallation, so make sure to give it a try before we move on. Right-click on Just Cause 3 and open Properties. Restart your PC and start the game from the Steam desktop client. Finally, if none of the previous steps helped you resolve the issue at hand, we can only suggest going for a reinstallation. This, of course, won’t do miracles, but a fresh start is the last you can do on your own. The rest lies on developers of Just Cause 3. 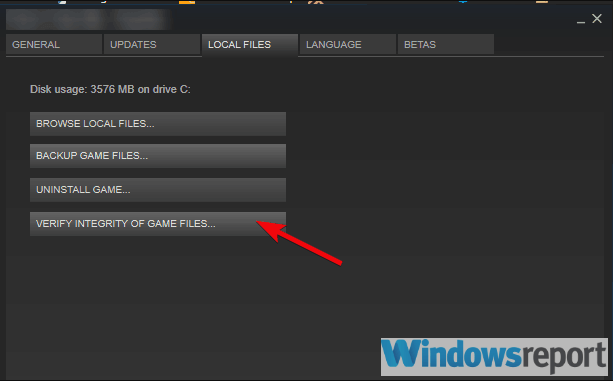 Reinstalling the game via Steam is as simple as possible, but we also suggest deleting the Setting file from the Saves. That way, you’ll start with a clean slate state of the game. And, with that, we can conclude this article. Hopefully, you were able to at least reduce crashes by following the enlisted steps. 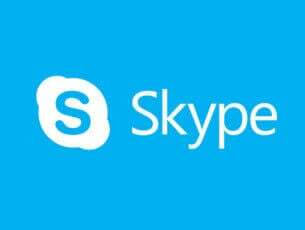 If you have any alternative solutions or questions concerning Just Cause 3 crashes on Windows platform, feel free to tell us in the comments section below.